Siblings Evelyn and Nathaniel Lerch each finished in first place, and Bella Scott finished in second to lead Clarion Area to second place finishes, in both the Girls and Boys team standings,in the Keystone Shortway Athletic Conference Cross Country Invitational held at North Clarion, on Thursday, October 18th. 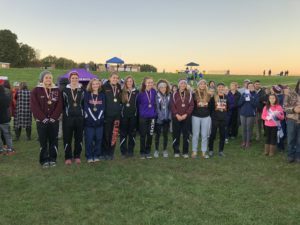 Evelyn was clocked in 19:49.27 and Bella finished in 21:14.76, in the Girls Race that saw the top eight place-winners all coming in under twenty-two minutes. Phylicia Hockman finished in seventh place with a time of 21:57.75. The Lady Cats finished just two points out of first place. Cranberry won the event with 38 points, while Clarion finished at 40 points. Clarion and Cranberry runners gathered seven of the top ten finishes in the Girls Race. The spread between first and second in the Boys Race, was nearly as close with Cranberry also taking the top spot and Clarion finishing second. The Berries finished six points ahead of the Bobcats, 28-34. Nathaniel, with a time of 17:00.78, finished just ahead of Cranberry’s Matthew Woolcock, who came in second at 17:05.78 and Daniel Fisher whose third place time was 17:13.53. The Bobcats had three other top ten finishers in the Boys Race. Nick Schill finished in fifth with a time of 18:00.52. Don Cunningham was eighth at 18:o8.o2 and Noah Schill finished ninth with a time of 18:08.27. The top fourteen place winners in the Boys Race were all under nineteen minutes. 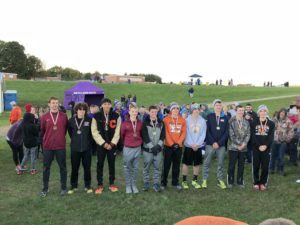 Clarion and Cranberry had runners in nine of the top ten spots in the Boys Race. 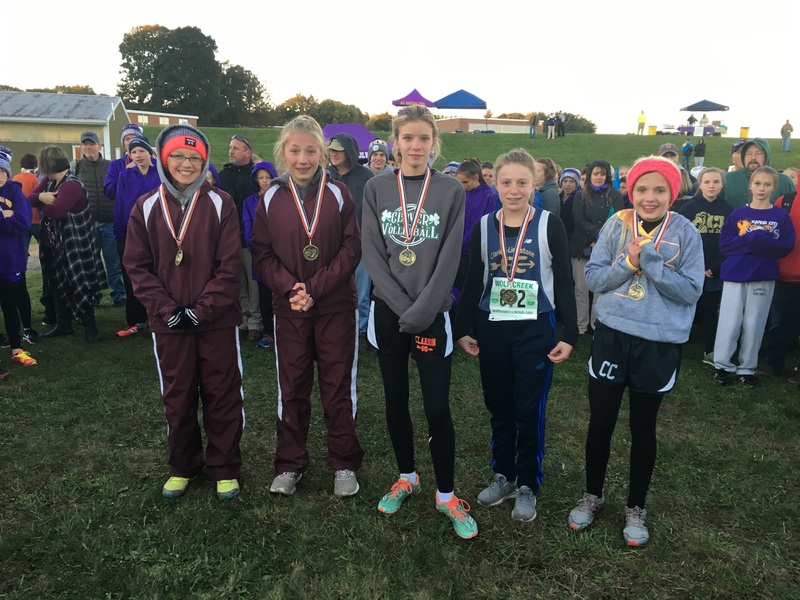 Clarion’s Gia Babington finished just 1/100th of a second out of first place in the Junior High Girls Race. She was clocked at 14:29.76 good for second place, just behind Moniteau’s Abbey Stewart, who won with a time of 14:29.75. The Lady Cats finished fourth in the event. The Clarion Area Junior High Boys finished in fifth place in their event.